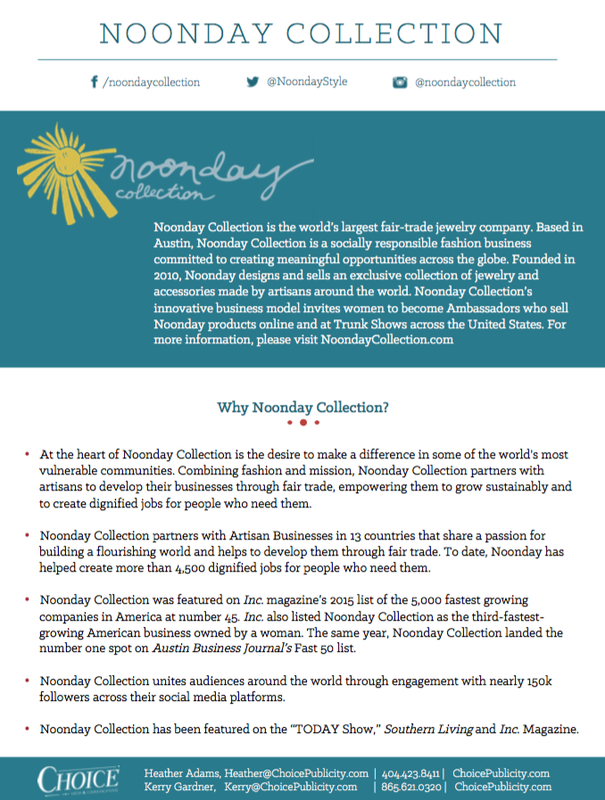 Noonday Collection is the world’s largest fair-trade jewelry company. 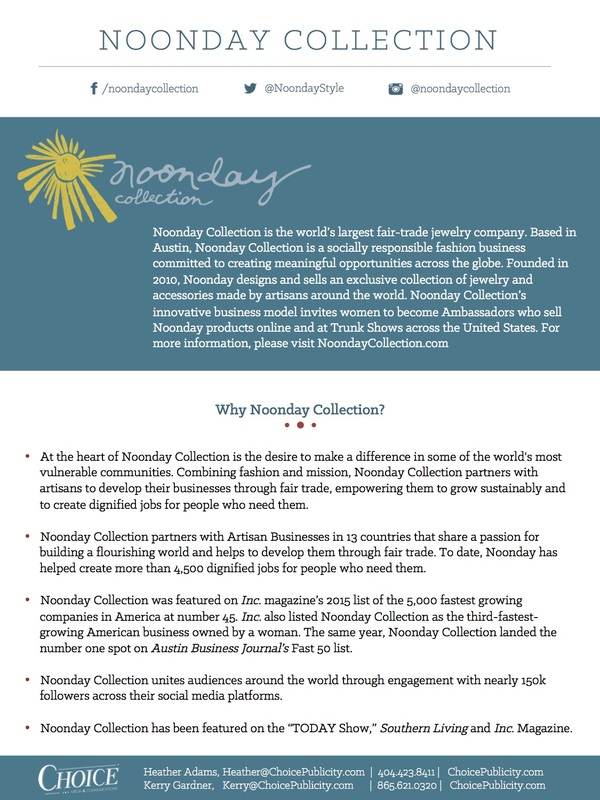 Based in Austin, Noonday Collection is a socially responsible fashion business committed to creating meaningful opportunities across the globe. 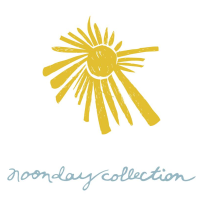 Founded in 2010, Noonday designs and sells an exclusive collection of jewelry and accessories made by artisans around the world. 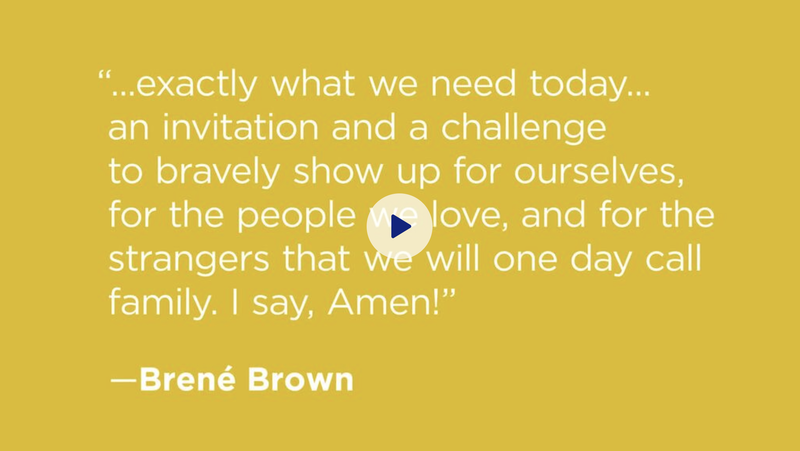 Noonday Collection’s innovative business model invites women to become Ambassadors who sell Noonday products online and at Trunk Shows across the United States. For more information, please visit NoondayCollection.com.